Another weekend and a new round of Macro Flowers Saturday. Many thanks for sharing your beautiful flowers from around the world with us at Macro Flowers Saturday. I can't wait to see your autumn flower and the spring flowers as well, from the other half of the world. 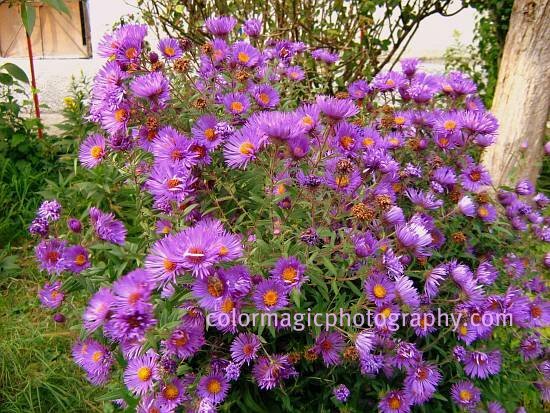 These little purple asters are in full flower now by us. The blooms are tiny but they come in very showy clusters, in purple, lavender and also in white. They are hardy plants and bloom till snowfall. This small purple bushy aster is called the wood's purple-Aster dumosus. The lavender one is the New England Aster - Aster novae-angliae, though I could be wrong with the names. They all look the same to me except the color. The white one is the Aster vimineus. Though I don't see any difference between these flowers except the color, they are all different species. Maia, this is so beautiful! Maia..these are so beautiful..I also love the white ones. 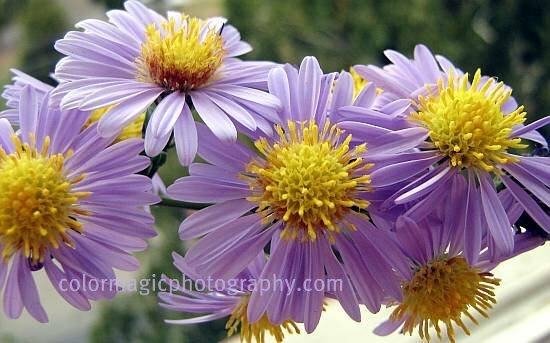 Asters are lovely little flowers and I love the purple ones. 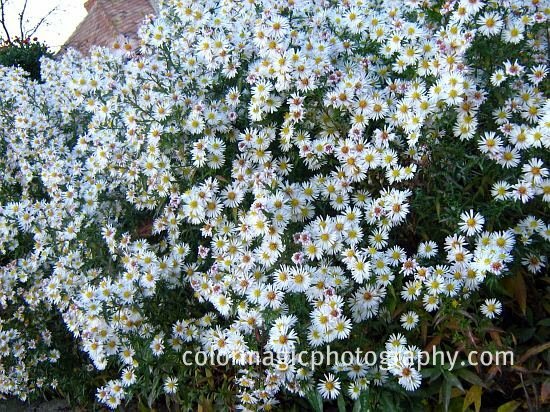 The asters are so beautiful. 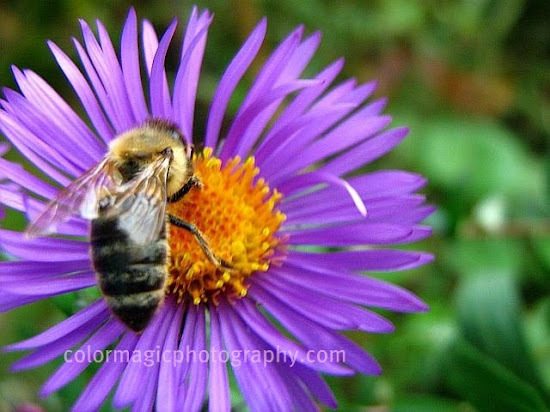 I love the purple one with the little bee. I participate for the first time in your beautiful blog. They are beautiful. Love the purple aster. We have a lot of these same flowers in bloom right now. Mostly the wildflowers and it's so nice to still have pastels as we move into colder weather. Flores lindas e delicadas! Amei a cor lilás! That third one, the lavender, is extra gorgeous. And I've seen pink ones also. Conkers-horse chestnut seeds are ripe!